My heart had leapt and I felt something pass through me. ‘This is my horse,’ I thought as I read the last line, trying to imagine what he would look like. ‘This is the one.’ I had looked at the number, then – slowly, painfully, put the newspaper back. I couldn’t afford a horse, having barely returned from England and living on a three part time job salary. ‘Even if I had the money,’ I thought, ‘where would I get the time?’ So, I walked away from the paper, my heart aching for the horse that I would never meet. Two weeks passed, but I couldn’t forget the horse. She confirmed that it was, and confessed that she’s been talking to the woman behind my back, trying to find out if she should show me the horse or not. Sumi’s family has a farm just outside my city. We’ve been riding together the past few years and have decided to start training for endurance riding together when I get the right horse. She herself has an Anglo-Arab stallion, a beautiful beast the colour of freshly minted gold. A palomino with a fierce temper, but with a protectiveness in him that would put most dogs to shame. I took a friend of mine along to the farm once and he refused to allow her near me. When Sumi is close, I daren’t speak to her harshly, or the horse would come for me, ears flat and teeth bared. When she rang off, I lay there in bed, staring at the ceiling, staring at pictures of my old horse, Liverpool Lad, who I had had through high school. He had taken the best of me with him when he died, and I wasn’t sure whether I was willing to go through that again. None the less, I found myself dialling the number, unable to resist the pull that I had felt ever since I read that advertisement. As it was, I caught her mid-sale. When she greeted me, I could hear her tell someone to just hold on. I introduced myself and told her that my friend had referred me to her. She didn’t seem interested in the beginning, but dutifully asked me what I wanted to do with her horse and where he would stand. She also asked me about my riding history, which I quicky summed up for her in as quick and friendly a way as possible. As she listened to me, I could feel something change from her as she became warmer and more excited. 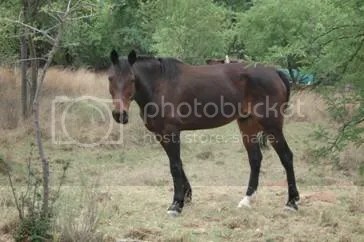 I could offer her horse a large farm, with plenty of grazing, three companions (with a fourth on the way) and a lot of attention. The name settled in me like a brand and I knew with a strange certainty that I was going to buy the horse. We went the next week to go and look at him; both his owner and I were very busy and couldn’t make it earlier. Sumi went with me, barely able to contain her own excitement. By all accounts, the farm was actually quite close to theirs, though just on the other side of the mountain range. We went early, a little bit earlier than we had told his owner. It’s an old buyer’s trick. If you go early when you go and look at people’s horse, you don’t give them enough time to inject their horses with something that calms them down (if they are that type). It hardly seemed necessary though as we caught Basjan’s owner working in her garden. She greeted us warmly, and lead us down a path to where there were two small camps. I had struggled to contain my excitement up to that point, yet – when I saw Basjan for the first time my heart sank a little. 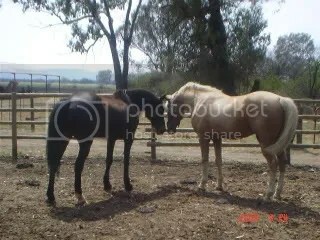 He was painfully thin with a dull dark coat (almost black) and terribly neglected hooves. When I got into the camp with him he snorted in fear and moved to the furthest corner from me. Behind me, his owner shifted nervously while Sumi stayed well back, her face deep in thought. I looked back at her for explanation, trying to imagine where the sister-in-law fitted into the picture and why she wasn’t there to see us. Knowing that she would’ve told me to leave if she didn’t see something worth trying, I helped his owner tack him up and walked him down to a small area where she said they grazed when there was grass. There wasn’t any, but it was the end of winter and very few places had natural grazing left. Her farrier had joined us at that time, and rode him for me first so that I could see his movement. Feeling depressed by my original assessment, I felt a little better when I saw Basjan’s pace, realizing that he would be a very comfortable horse judging from his stride. When it was my turn to mount him I took my time to adjust my stirrups and get up. I didn’t want to be disappointed. He was slow though and felt tired, but I ticked it up to the fact that he had not been fed yet and that someone else had come to look at him the day before. I didn’t say anything as I got off of him and told Sumi to feel him as well. I saw her face light up as she started trotting him around and she only did one round when she came back and leapt of off his back. I didn’t talk immediately, but took the reins from her and stood there beside Sebastian, aware of everybody’s eyes on me, aware of his presence, his scruffy coat and his ribs showing painfully underneath the saddle. I looked at his face, into his eyes, and saw something there, the something that I had felt when I read the article that very first time.